Betrayal, deception and death set the scene. Earthquakes, miracles and a stone rolled away. A series of events ripped through the chaos and darkness as Jesus unveiled a brand-new way to live. 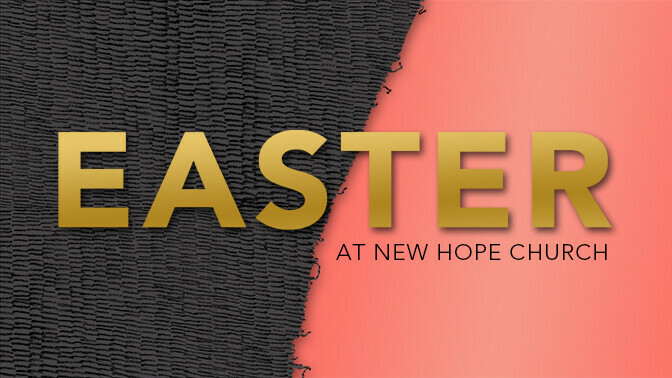 You're invited to experience the story during Easter weekend at New Hope Church. Include a fabulous breakfast in your Easter morning plan. Proceeds benefit the Student Ministries Czech Republic trip. Learn more. What's it mean to Live a new life with Jesus? The events and message of Good Friday and Easter Sunday make all the difference in the world for you today. His death and resurrection is more than historical. It means a whole new life is available to you.